locked the secret to keep your eyes healthy, they are going to want to share it with everyone. However, many times these tips for healthy eyes just don't have any hard science behind them. Your next door neighbour may have poor eyesight but that doesn't mean reading late at night was what caused it. Remember than the next time you hear someone endorse one of these eyesight myths. Myth #1 - Reading in low light is damaging to your eyesight. it down until the small hours of the morning. 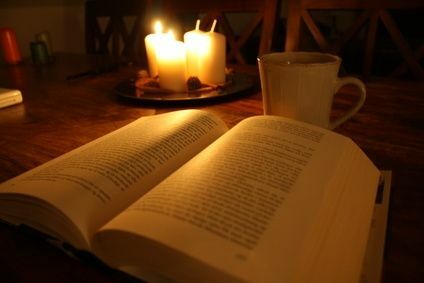 Don't worry though the dim light you are reading in is not hurting your eyes. Reading in low light does cause eye fatigue, which you should try to avoid but it doesn't actually damage your eyesight. So go ahead and read that extra chapter if you want to. 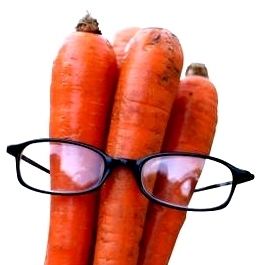 Myth #2 - Eating carrots will immprove your vision. The Truth - Carrots are full of Vitamin A, an essential vitamin for sight. However, you only need a small amount of Vitamin A for healthy vision. So while there is nothing wroing with eating all of the carrots you desire, do not expect any dramatic vision improvement. Myth #3 - Watching TV for too long or sitting too close will harm your eyesight. The Truth - Parents love to tell this one to their kids to get them outside and away from the TV. While sitting in front of the TV all day isn't very healthy in general there isn't any evidence to suggest that it damages your eyes. Children always seem to sit too close because their ability to focus on images closer to their eye is greater than adults. In most cases this is simply something they will grow out of. 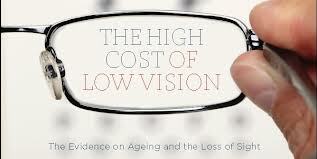 Myth #4 - There is nothing you can do about your vision deteriorating as you age. The Truth - Cataracts are the eye ailment most commonly associated with aging but they aren't a disease. Instead, they are actually a normal aging process and they can be removed to fix the problem. For other ailments, a balanced diet and non-smoking lifestyle can help ease their severity. However, some issues can only be resolved with glasses. Taking better care of your eyes is one of the smartest descions you make. Becoming aware of the steps to keep your eyes healthy is an easy way to start but make sure you know the difference between the facts and myths.